This is the nightmare – you have just landed an interview for your dream job, and your biggest worry is not how well you will answer the questions, but how to not disgust the interviewer with your sweaty hands! Get a clinical over the counter strength antiperspirant (I recommend Carpe Lotion, or Odoban Hand Lotion) from a neighborhood pharmacy or online store. Need to know more about these antiperspirants? Unless you have severe form of palmar hyperhidrosis, you should see significant improvement in about 3-4 days time. However, continue the application for a full week. This is often very effective way – however, it is not foolproof as the sweat may still break out in severely stressful situations (like… interview). 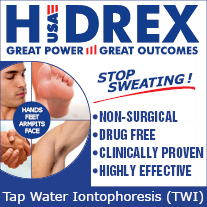 If you have access to iontophoresis machine, also treat your palms daily for 15 days prior to the interview. Done correctly, this is very reliable way of getting rid of sweat that does not come back even under stress. However, iontophoresis does not work for everyone and if you haven't tried it before, I will not recommend you to pin all your hopes on iontophoresis. If you have tried antiperspirants and iontophoresis and it did not work for you, go to a medical professional (dermatologist) – they can prescribe you medication (e.g. Robinul) that will control the sweat. I don't like medications per se, but in an interview situation, its not a bad option. Wear a sleeved cotton undershirt – that will help avoid the sweat-pit under your arms. Have a small bottle of sanitizer with you. If the sweat breaks though, you can time sanitizer application just before the interviewer comes to greet you (so that he/she can see you applying the sanitizer) – so that even if your hand is cold and damp, it wont be disgusting because it will feel like sanitizer! Carry your bag/notebooks in your hands and make it obvious that handshake is very inconvenient at that time – again, make appropriate gesture to show your helplessness! Don't put your hands on the table, especially if the table is glass top – you will make very visible smudgy marks on the table with the sweat on your palms and those are not pretty. At the end of the interview (if your hands are still wet), use one of the tips mentioned above to avoid a handshake. Another way is to ask for restroom, go in, wash and wipe your hands and come out. 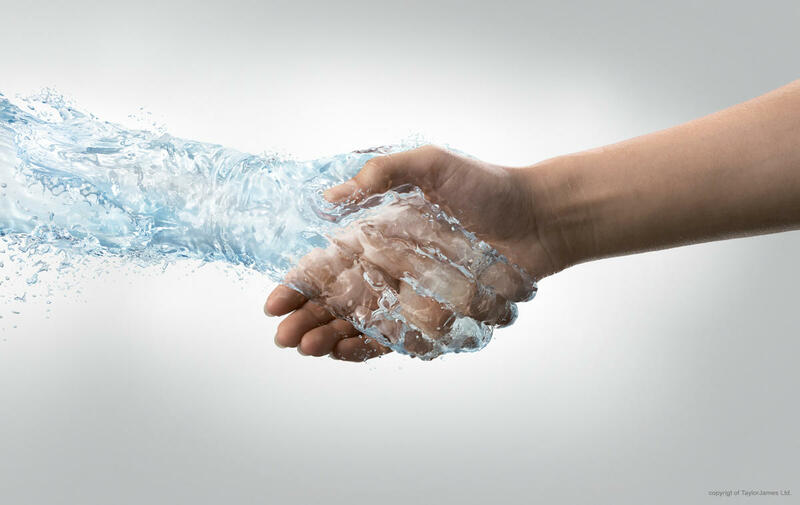 Have a handshake – even if the hands are a bit damp, it will be natural! If for any reason you cannot use any of the tips mentioned above, or if the sweaty palms were noticeable, make a joke about “how nervous you are to be interviewing for your dream job”! It works sometimes – employers want to hire people who really want a job! Send a note to (or call) your interviewer and express your interest in the job and how excited you were to interview with them. As a side mention, tell them that you have a medical condition called hyperhidrosis that causes you to sweat a bit more than usual in high stress situation and that it does not affect your normal job performance. Most interviewers will consider that as a honest gesture and would understand your sweaty palms – though it may also work opposite by reminding them of your sweaty palms when they did not really think of it. So use this tip with caution and only if you think that your sweaty palms were noticeable and will severely impact your chances of landing up that job. Now, in-spite of all this preparation you may not get the job. And it is OK – think of it this way: would you have liked to work for a boss who based his opinion about you purely based on your sweaty palms? Thats all I had to say on this topic people. I am sure you have tried more ways to cope with your palmar hyperhidrosis during a job interview – share please! 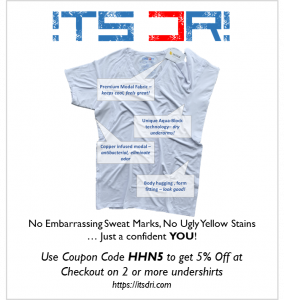 Living With Hyperhidrosis: My Online Discovery Impact of Hyperhidrosis Are your hands always sweaty? I’ve also taken valium 30 minutes prior to an interview (Plan to arrive early to avoid a DUI). I usually take 10mg. It really helps. You’ll feel overly relaxed, but it’s never gotten in the way of me answering questions or getting hired. You may have to kill a little time after because you may not be ok to drive right away. I usually feel the effects for about 2 hours. Try to get your doctor to prescribe glycopyrrolate tablets. It works for me, just drink lots of water as it makes your mouth dry. When I was job hunting and went on a lot of interviews, my strategy was to always try and hide the sweatiness of my palms, but if I wouldn’t be able to hide it effortlessly, I would rather admit (sometimes jokingly, sometimes not – depending on the people and the atmosphere of the interview) that I have hyperhidrosis – though not in those words, because people tend to get scared if you throw a relatively unknown medical term in their faces; I would say something like “Wow, I must be more nervous than I realized!” and laugh, or I would admit that my hands are prone to sweat, but that I have it under control and it doesn’t affect my work. But, I would always try to hide it first – only if that fails to go smoothly, I would confess. I have a job interview coming up next Monday morning, and I started panicking already. I hope it’s not too late to start with the daily antiperspirant application, and that this is going to improve my sweaty hands hyperhidrosis by Monday. I also have a tip to share: my plan is to wear dark pants that don’t really show sweat stains and are from very light speed-drying material, so I can rest my hands on my thighs during the interview, and discreetly maybe wipe sweaty hands against my pants. That way my hands won’t be terribly dry for the handshake at the end of the interview. But it’s important to “test” the pants before the interview, to make sure that the stains will be pretty much invisible. In my case, I have to dry my hands all day long when everything’s normal, but during stressful times I’m constantly wiping them on my shirt or pants to dry them off. Sometimes I use hand sanitizer as I get the benefit of rubbing alcohol, without the damning side-effect of having my hands smell like cheap booze. If you get to the interview early, go to the washroom and warm your hands, either under hot water or under a hand dryer. Dry, warm hands inspire confidence. Cold, clammy hands are an unconscious turn-off.